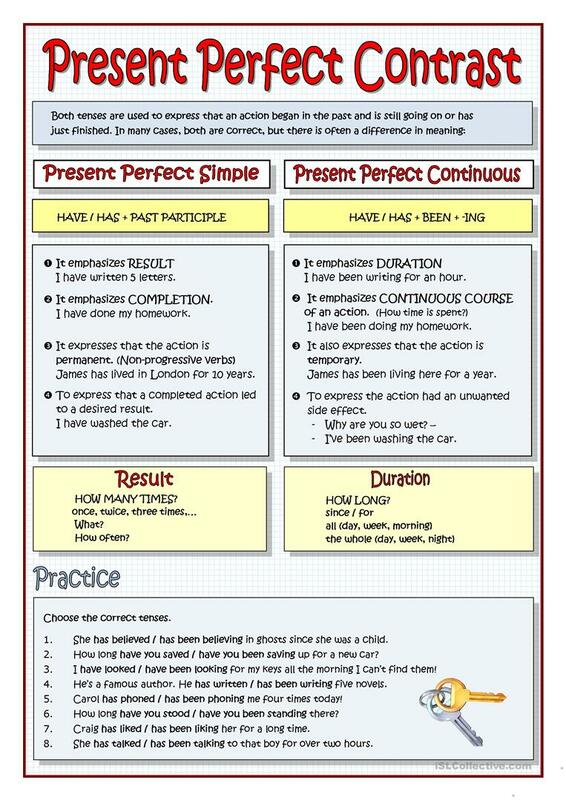 Students learn to distinguish between the Present Perfect Simple and the Present Perfect Continuous. 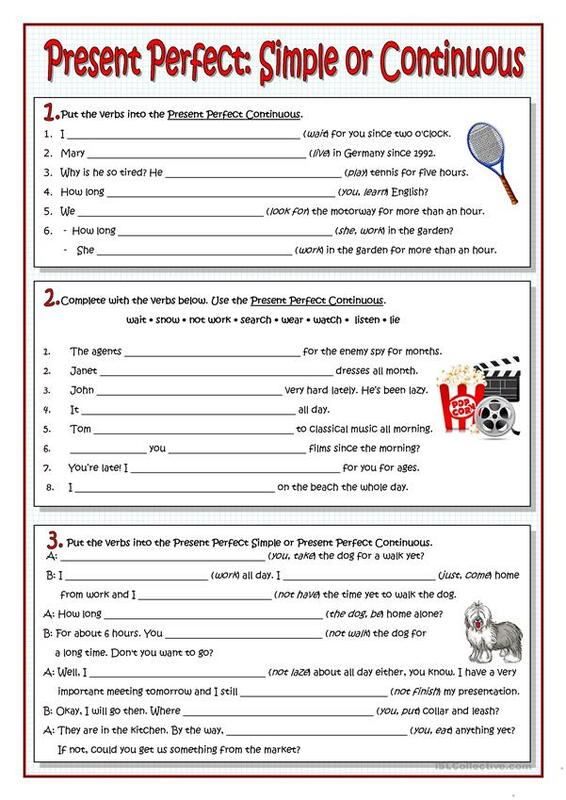 The worksheet contains some grammar explanitions and four exercises to practice. The above downloadable printable is intended for high school students and adults at Pre-intermediate (A2) and Intermediate (B1) level. It is great for practising Present continuous (progressive) tense in English, and is useful for improving your learners' Reading skills.